Natali Koromoto Martinez is an illustrator and designer, born and raised in Venezuela, now living in NYC. 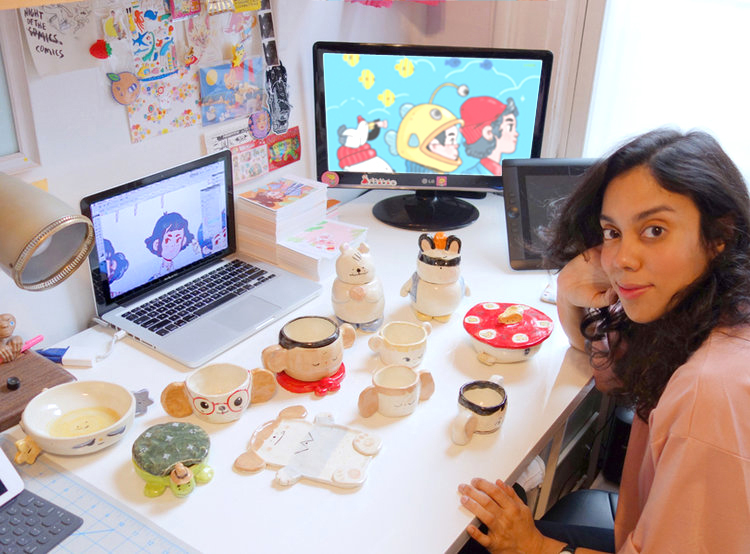 You can usually find Natali in her Brooklyn home studio designing fun products for her label/webstore, "Natali Koromoto". Other days are spent watching cartoons and listening to music while preparing packages containing her wares. Natali keeps active with a variety of freelance work as well, having done illustrations for Nickelodeon, Cartoon Network, The New York Times, HULU, FYE. Like many of you, some of Natali's favorite things include traveling, seafood, and dogs. Her work has been featured on such sites as, Buzzfeed. BOOOOOOOOM, Cartoon Brew.